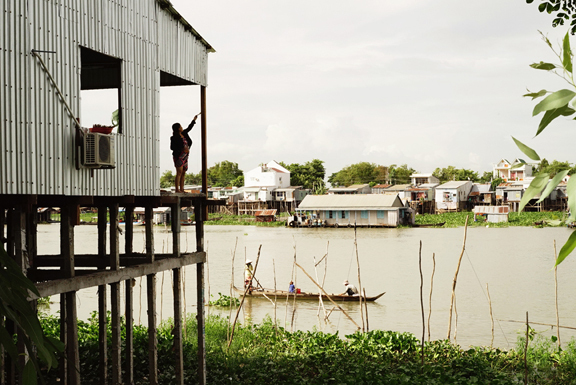 Chau Doc Stilts is about the houses on stilts across the river from Chau Doc City, located in the Mekong Delta region of Vietnam, on the Cambodian border. 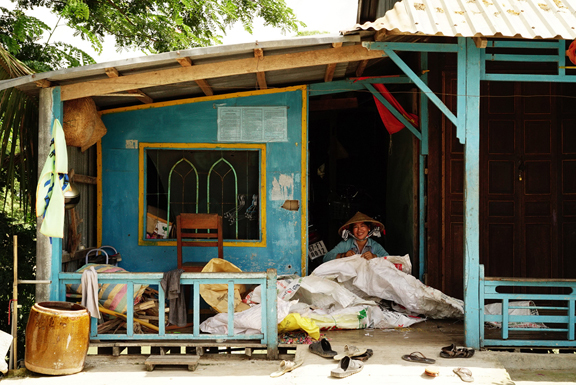 The inhabitants of these houses live along the Hau River, called also Bassac, and the Vinh Te canal, about 10 miles south of the Mekong River. 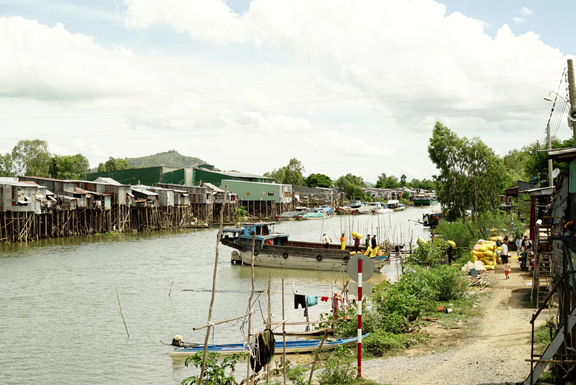 The Hau River is a tributary of the Mekong running parallel to the sea. 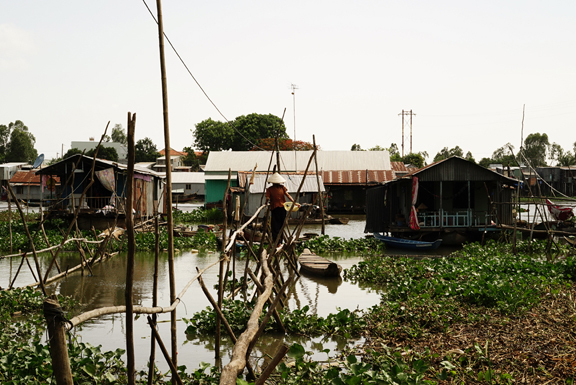 These distinct Vietnamese houses along the river are built on wooden or cement stilts up to 20 feet tall, anchored to the ground to resist to the strong currents during the monsoons. When I found this place I became fascinated by the front of these colorful houses, the simple interiors and the things that happen underneath, between and behind each house. In the back of the stilt houses there are floating houses on barrels connected by “Monkey Bridges”. 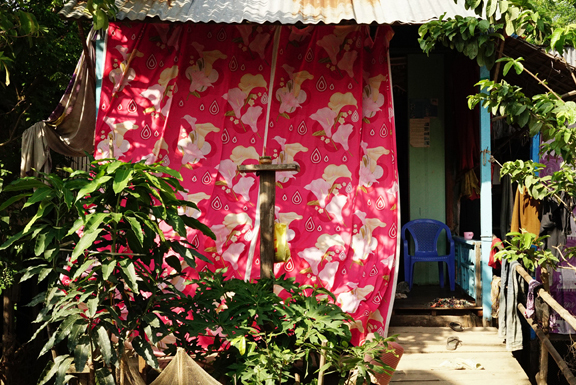 The small streets in front of the houses and along the bank are full of life and different situations. The place is a necessary and natural village developed along the river and canal bank. On one side is the city, on the other green rice fields. Here, many activities happen in the river: people go and come, fish, transport rice, vegetables, animals and materials, wash clothes, bathe or swim. I tried to understand and photograph the spirit of this place, from many points of view, related to the river and the life on these particular houses and their inhabitants. This is an example of how millions of people in this country live dependent on the water, especially in the Delta. There is a plan to build more then 70 dams on the Mekong basin in Laos, Thailand, Cambodia and Vietnam to produce clean energy. However ecological and cultural devastation will be an inevitable cause of these projects. People would be obligated to move to resettlement villages far from the lives they have built organically in nature. They will lose not only their village, their land, their job, but also all their ancient culture and spiritual traditions, that depend on the river’s life. The people who live off the big river will not be the only ones affected. The dams will have a negative impact on the entire Mekong and its tributary ecosystem all the way to the delta in Vietnam. 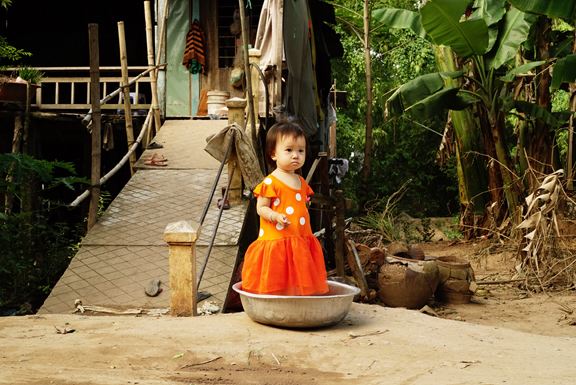 The Mekong Delta is a network of canals and waterways, rice fields, small roads and tribal villages. This huge area, after having been ravaged and ecologically devastated by the war 50 years ago, is now intensively farmed and green again where 20 million people live. The impact of the dams will also increase problems related to climate change. As in the rest of the world, these countries that share the lower Mekong basin are recording more extreme weather, hotter temperatures and heavier tropical rains. The Delta is also effected by rising sea level, with higher tides flooding agricultural land, increasing the salinity of the soil, adversely affecting fish and rice farming and contaminating drinking water. 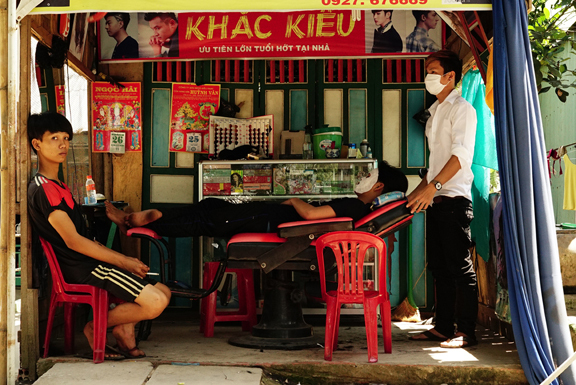 The most populated areas in Vietnam, both rural and urban, including Ho Chi Minh City – one of the 10 cities in the world most vulnerable to climate change – will have increasingly severe floods. Even though the dangerous consequences of these proposed dams are clear, they are being ignored in the name of political and economic interests. 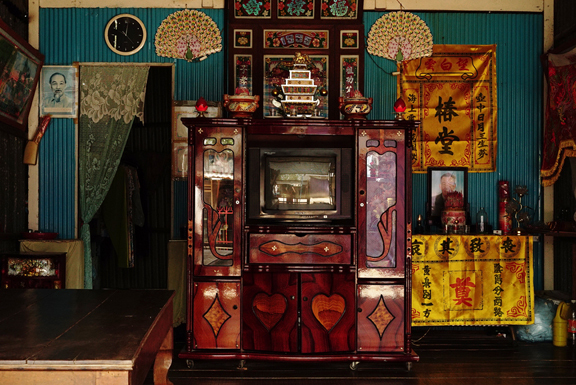 What you see in these photographs, soon may no longer exist.